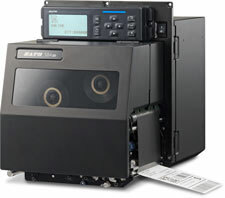 Sato’s CL4NX Series is genuinely a universal label printer designed to meet the needs of any application. Built with the user in mind, the CLNX Series is a breeze to maintain and update. See how easy it is to replace the printhead and minimize downtime in this video. Sato’s S86-ex Series Print Head Has Been Improved! With their continued efforts to continue improving their products, Sato has recently adopted a new/replacement print head for the S86-ex series print engine. This change will result in improved print quality at higher print speeds. You can take advantage of the more capable printhead at the same cost as the original. Although mechanically the old/new print head is compatible, you will need to update the printer firmware to 61.00.00.06 or later in order to use newer print head. To obtain latest version of firmware, please go to www.satoamerica.com/S86exPrintHeadFirmware for download.